is a collective of artists, educators, and activists based in Philadelphia; a group of individuals with different perspectives, from different places who want nothing more than to make music unfettered by the standards of the traditional and the prescriptions of the mainstream. 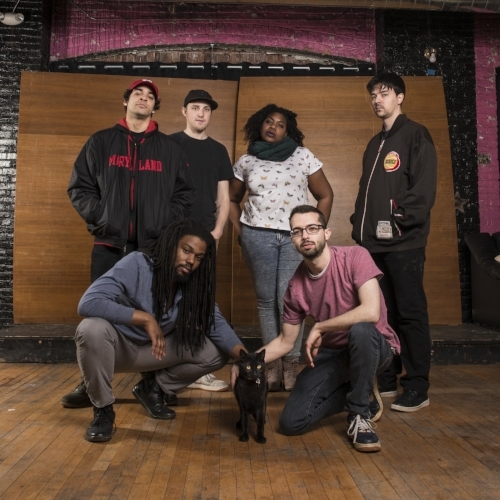 What began in 2009 as a jam session, evolved into a dorm room mixtape, and eventually into a live band; several albums and tours later ILL DOOTS continues to hone their craft as performers and collaborators. ILL DOOTS is on a lifelong mission to change the way our communities respond to and value music, art, and life. As a collective of arts educators, ILL DOOTS launched the I Love Learning initiative in 2014, setting up free workshops in schools, after school programs, churches and other shared spaces along their tour routes and at home. The initiative is ongoing both in Philadelphia and elsewhere. In 2015 ILL DOOTS worked under the direction of Joanna Settle to compose and perform music for Flashpoint Theatre Company's "Hands Up", for which they received the Barrymore Award for Best Original Music. In 2016 ILL DOOTS composed and performed the Wilma Theatre's production of "An Octoroon" under the direction of Settle yet again. Moving forward, ILL DOOTS will continue to bring more art into our communities and continue to collaborate across mediums. The intersection of community engagement as collaboration is of particular interest to ILL DOOTS and something to look for in their future works. Click here to download a one sheet!